The world as we know it today would find it difficult to survive without lighting. Society has become so used to the convenience that it provides that one could not fathom being without it. A good testament to this is when there is a power outage, and the performance of people, on the whole, drops drastically. Lighting has gone through great strides over the years to now where people rely on lighting control systems. This is a system that can communicate through a network that provides the input as well as the output of the lighting system being used. What is the Purpose of a Lighting Control System? Some believe that the lighting control systems that we make use of today are merely for convenience. This is true, but it goes beyond that. Any time lighting is being installed in any building there are building codes that will set the parameters for it. Lighting control systems are being designed today as part of the approach to energy conservation. 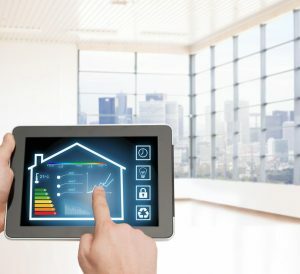 Many Smart homes are looking to be built with the priority of saving energy. Not only from an environmental perspective but for cost savings. The common term for lighting control systems today is smart lighting. How Is It Controlled By Automation? Not only is smart lighting a great benefit in many ways, it also allows for many different options for using it. The purpose is to be able to have control over the lighting. Many Smart homeowners want to use their lighting control system in different ways. Some will have the system automated, so it works on solar time. Meaning that specific lights in the network will come on when the sun is setting and shut off at daybreak. This can automatically be programmed into the lighting control system. This is just one example of many as to how this lighting system can be automated.